This is a real find. 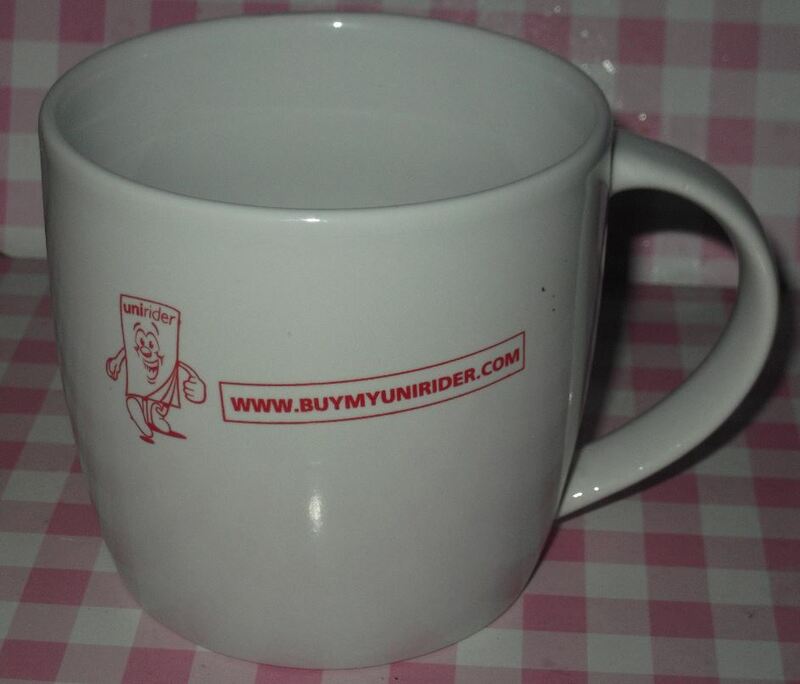 Over 80 mugs in and we’ve seen nothing quite like this one courtesy of www.buymyunirider.com. The design is off the scale. I’ve scoured the web’s darker corners and the closest I can come to a genre is entitled ‘The Milan.’ (handle apart) This beauty sports a generous aperture and low centre of gravity. The over-sized handle ensures maximum grip for a satisfying beverage experience. The reason for its diminutive size is that it will (allegedly) be “..ideal for use with today’s coffee machines which are a regular feature in offices today.” We call this ‘Small, but perfectly formed’. My only criticism is the logo is too small. Having worked in Graphic design in a past life, I’m all for the concept of ‘A Nice Use Of White Space’ but you really have to put this under your nose to read the branding, which is not recommended if it is brimming with hot liquid. Buymyunirider.com is a web portal on which students can purchase weekly bus tickets and passes and has absolutely nothing to do with second-hand bikes featuring just one wheel and a saddle. This would be http://www.buymyunicycle.com.